COST: $25 for complete lunch including soda, coffee, and dessert. Tickets can be purchased online here. "What to Expect From Our Big Men Next Year"
"The Changing Seton Hall University Student"
For more information on Phi Kappa Theta Alumni and Friends Luncheons please click here. Grant Billmeier completed his third season of his second stint on head coach Kevin Willard's staff at Seton Hall, his alma mater. 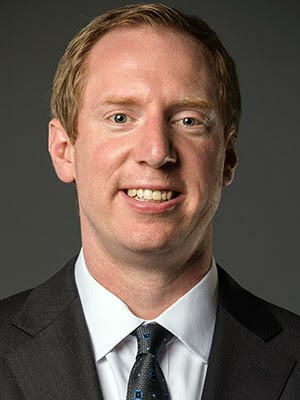 After serving as a Seton Hall Coordinator of Basketball Operations (2010-13) and then the Director of Basketball Operations (2013-14) and then spending one year as an assistant coach at Fairleigh Dickinson (2014-15), Billmeier made his return to South Orange in September 2015 to work with the team's post players. Billmeier has been instrumental in developing Seton Hall's forwards and centers into leaders in the BIG EAST. The Pirates have finished in the top two of the conference in rebounding in each of the last three seasons. Furthermore, he has helped develop Angel Delgado into one of the top basketball players in the country. In 2017, Delgado led the nation in rebounding at 13.1 per game, was named All-America honorable mention, the Metropolitan Player of the Year and unanimous All-BIG EAST. Then in 2018, Delgado broke the BIG EAST career rebounds record, averaged a double-double, posted the NCAA Tournament's first 20-20 game since 2012 (24 points, 23 rebounds vs. Kansas) and was honored as the 2018 recipient of the Kareem Abdul-Jabbar National Center of the Year Award. Billmeier also worked to help Ismael Sanogo develop in a starter and one of the best defenders in the BIG EAST. His work has also helped Seton Hall achieve great heights atop the BIG EAST Conference. In 2016, he helped the Pirates win the BIG EAST Championship for the first time since 1993 and earn an NCAA Tournament berth for the first time since 2006. In 2017, he helped guide The Hall to a second straight NCAA Tournament appearance, a feat the program had not accomplished since four straight from 1991-94. In 2018, he helped the Pirates to the program's first NCAA Tournament win since 2004 as well as reaching as high as No. 13 in the nation in the Associated Press top 25 poll. During Billmeier's first stint on Willard's coaching staff, his primary roles included serving as the academics liaison and the daily and monthly scheduling of practice times, lifting schedules and team meals. He also coordinated with local hospitals, foundations and soup kitchens to bring student-athletes out to the community. A fan favorite in South Orange, Billmeier was a four-year letterwinner and two-year captain for the Pirates from 2003-07, playing in 106 career games and helping the program reach the NCAA Tournament twice in 2004 and '06 and a first-round win over Arizona in '04. He was the recipient of the Robin Cunningham Award for having the best academic success on the team. A native of Pennington, N.J. and graduate of St. Patrick High School, Billmeier previously was an assistant coach at his alma mater under head coach Kevin Boyle. At St. Patrick, he helped the school win the 2003 New Jersey Tournament of Champions. After graduating from Seton Hall, Billmeier played professionally in Germany and Portugal and started his own basketball summer camp, the Billmeier and Nardi Skills Camp, alongside former St. Patrick teammate and Villanova guard Mike Nardi. Billmeier and his wife, Jennifer, were married in May 2017 and are parents to their daughter, Avery, born February 2018. An alumnus of Seton Hall (Class of 1962), Dr. Peter G. Ahr, Ph.D. has been a member of the faculty of the Department of Religion since 1964. He served as Assistant Dean and Associate Dean of the College of Arts and Sciences from 1972 to 1987, as Dean of Freshman Studies at the University from 1987 to 1996, as Interim Dean of the College of Arts and Sciences in 1997, as Interim Provost in 1997-98, and is very involved in the University's efforts in developing information technology and in finding new ways of incorporating it into our teaching methods. Dr. Ahr has been part of the University Honors Program since 1987, and served as Thomas and Ruth Sharkey Professor of Humanities. He has taught in the Department of Religion and in the Honors Program, and served as a member of the University's Faculty Senate. He has also served as co-chair of the Faculty Senate Core Curriculum Committee, and taught one of the first sections of the new Core Curriculum freshman course in Fall 2006. His research and teaching interests lie especially in the area of the early development of Christianity. Dr. Peter G. Ahr, fondly known as “Doc” Ahr, has served as the Faculty Advisor for New Jersey Phi Beta Chapter of Phi Kappa Theta National Fraternity at Seton Hall University for over 45 years – since 1973. In 2015-16 and 2016-17, Dr. Ahr served as an emeritus professor at Seton Hall, teaching only in the fall semesters. At the end of the 2016-17 academic year, Doc Ahr retired from Seton Hall. He continues to serve as Faculty Advisor Emeritus of the PKT chapter.